Staying ahead of what’s next in enterprise computing requires the ability to onboard the latest technologies to keep up with demand. Benchmark offers customized solutions for applications in high-performance computing, edge computing and data storage markets. Our expertise in embedded systems, artificial intelligence and augmented reality reduce our customers' R&D investments by accelerating time-to-market and reducing costs. 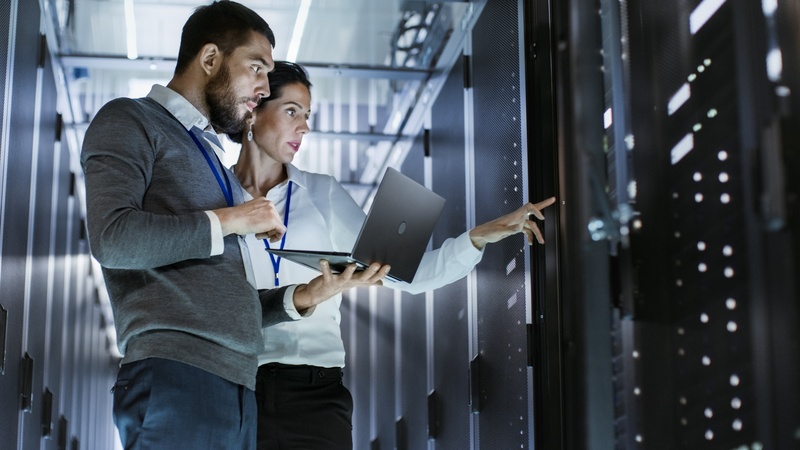 To develop highly complex enterprise computing and data storage solutions, customers need a trusted partner that closely monitors industry trends and marketplace innovations to address challenges and define new opportunities. Benchmark’s expertise in rapid-prototyping and design, components, high-density interconnect, cooling solutions, systems integration and in-circuit and functional test, enable us to deliver end-to-end solutions. By leveraging technology building blocks and integrating new capabilities and technologies through our RF and High Speed Design Center of Innovation and global network, we ensure that the final product meets and exceeds our customers’ needs. Benchmark's customers' metal fabricated products demand the highest precision, within the tightest tolerances and under the most stringent parameters in order to fulfill product performance promise. They cannot accept anything less. It just makes sense that components designed, manufactured and assembled as a unit, by the same company, optimizes their performance, reliability and costs. Owning the whole process ensures this outcome. Plus, it’s easier and more efficient for our customers to monitor and manage one partner. Benchmark's specialized technology solutions provide the compute market with additional capabilities within the same company. While threats span the globe, Benchmark has partners covered with our Integrated Surveillance Solution (ISS). The Integrated Surveillance Solution puts cutting-edge surveillance, tracking, and acquisition at customers' fingertips, simplifying complex situational awareness challenges. See how Benchmark can facilitate your computing needs.